Every week, we invite ALL members and members of our local community to join us for a free, casual Lunchtime Learning session (formerly Brown Bag Lunch series). We cover topics both big and small in scope, from local to international, and from arts to sciences. We aim to offer lively talks, from engaging speakers, that anyone in the audience can enjoy. No registration is required. This year, we will meet every Friday at noon. This is a change from past years, but we hope everyone can still join us. The location for our weekly sessions is also new this term. We will be holding each session in Patterson Hall, Room #308. Patterson Hall is the home of the F.C. Manning School of Business on University Avenue. Occasionally we may need to use an alternate space, but this will be clearly indicated below. 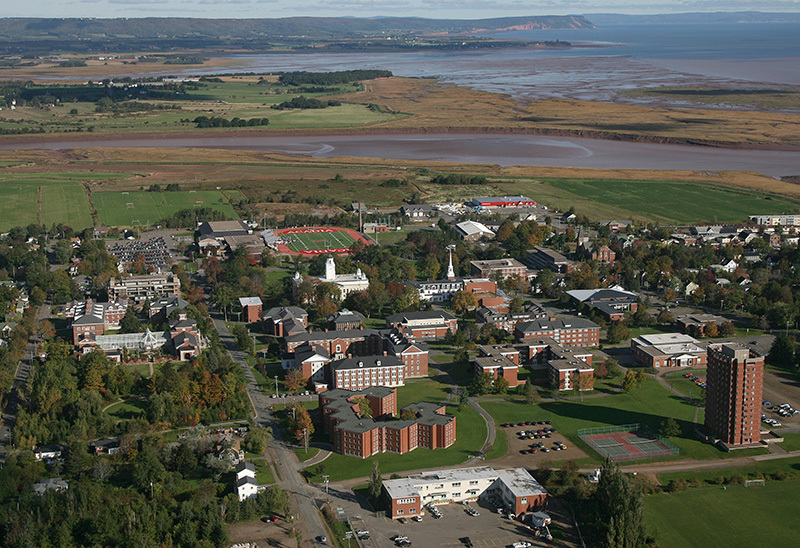 Our general rule is if NSCC - Kingstec Campus is closed due to inclement weather, Acadia Lifelong Learning classes and events will be cancelled for that day, even if the Acadia University campus remains officially open. Please check local radio stations or our Facebook page for possible cancellation announcements. Should we stop consuming dairy? What are these ‘legumes’ I keep hearing about? Does ‘plant-based’ mean vegetarians are healthier? These are some questions hovering around the release of Canada’s new Food Guide, and Acacia will join us to answer them all! She will summarize the lengthy document that was released this past January - helping bust myths, clarify guidelines, and facilitate a deeper understanding for our audience of what it means to ‘eat well’. You won’t want to miss out on this interactive presentation, so come with your questions, an open mind, and an eagerness to learn! Acacia is a professional dietitian (c) and professor at Acadia this semester, in the School of Nutrition and Dietetics. She is an Acadia graduate herself, and has since pursued a Master of Health Science in Nutrition Communication from Ryerson University. She has a passion for sharing knowledge in approachable and creative ways, with the overall goal of helping people live healthier, happier, lives through food. We are now accepting submissions for our Fall 2019 schedule. Proposals will be accepted until August 12, 2019.